May 1, 2008 - Focused on the acceleration of electronic health records, industry leaders from Canada Health Infoway (Infoway), Canadian Healthcare Information Technology Trade Association (CHITTA, the Health Division of Information Technology Association of Canada (ITAC)), and the Association of Health Technology Industry (AITS) announced today they have formed a task force to accelerate and promote the transition to a new set of pan-Canadian health information technology standards. The task force will collaboratively work to promote the adoption of pan-Canadian standards, especially with point of service systems, by engaging clinicians, health care providers and vendors. Involving these stakeholders will support the planning required to ensure the interoperable electronic health record (iEHR) is leveraged and the adoption of pan-Canadian standards is accelerated. "Time and again, we have seen the success of industries like the financial and consumer sectors drive faster end-user adoption through the implementation of standards," said Dennis Giokas, Chief Technology Officer, Canada Health Infoway. "With the aligned direction of our industry partners we can now work collaboratively to accelerate the deployment and use of these interoperability standards for the benefit of Canadians and the Canadian health care system." Common standards are an integral element of, and a key requirement for, the establishment of a pan-Canadian interoperable electronic health record. Significant cost savings and quality improvements are achieved when custom integration is eliminated. Patients, clinicians and health service delivery organizations all benefit when data can be reliably shared across health care systems. 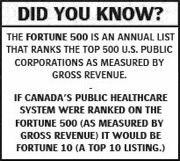 "We have been building health care systems using industry standards for over 20 years. Achieving full adoption of the pan-Canadian standards, and realizing the benefit of Canada's health infrastructure investments, is a multi-year journey until new products emerge and legacy systems are retired," said Brendan Seaton, President, CHITTA, the Health Division of Information Technology Association of Canada (ITAC). "Health information systems tend to be stable, so we will see a period where both existing and new standards are supported. We look forward to collaborating with health providers and Canada Health Infoway on developing solutions for this transition." To enable the successful deployment of interoperable electronic health record solutions, the organizations support the use of: HL7 and DICOM for messaging, LOINC® and SNOMED CT® for terminologies, HL7's Clinical Document Architecture (CDA) for documents, HL7's Clinical Context Object Workgroup (CCOW) specification for clinical context management, as well as the pan-Canadian interoperability profiles. "The transition to common, pan-Canadian standards allows us to achieve the highest quality in an interoperable electronic health record system. As an industry we are starting to see market demand for these new standards, and our members are making commitments to meet that demand. Success will come when we work together on this very complex challenge," said Daniel Laplante, Executive Director, AITS. 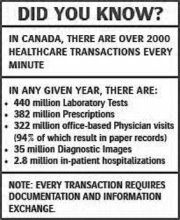 Canada is a strong contributor to the global acceleration of EHR standards through its unique collaboration model. Launched in 2006, the Standards Collaborative provides coordination, implementation, support, education, conformance and maintenance of electronic health record standards in Canada. One third of its members are representatives from health information technology companies. Infoway is an independent, not-for-profit organization funded by the Federal government. Infoway jointly invests with every province and territory to accelerate the development and adoption of electronic health record projects in Canada. Fully respecting patient confidentiality, these secure systems will provide clinicians and patients with the information they need to better support safe care decisions and manage their own health. Accessing this vital information quickly will help foster a more modern and sustainable health care system for all Canadians. CHITTA, the Canadian Health Information Technology Trade Association, is the Health Division of ITAC, the Information Technology Association of Canada. CHITTA represents more than 120 companies across Canada that provide information and communications technology (ICT) products and services to the health sector. CHITTA represents the Industry to governments and health care decision-makers for the purposes of building a strong and sustainable health ICT industry in Canada, promoting investment in health ICT, and ensuring the interoperability of health ICT systems. Created in 1987 and representing over 100 members, the Association of health technologies industry's (AITS) mission is to stimulate the development of the health technologies industry and to promote its economic and social value. AITS is a meeting place for exchanges between partners on domestic and foreign markets.